This weeks entry for the Sunday Post was taken downtown Lakeland, Florida. I saw this gentleman riding his bike across the street from where I was standing. It appears from the picture that he might be homeless and possibly a former member of the United States Military. To enjoy more entries or participate, click here! Thanks for viewing and stopping by! This entry was posted on August 26, 2012 by Cher. 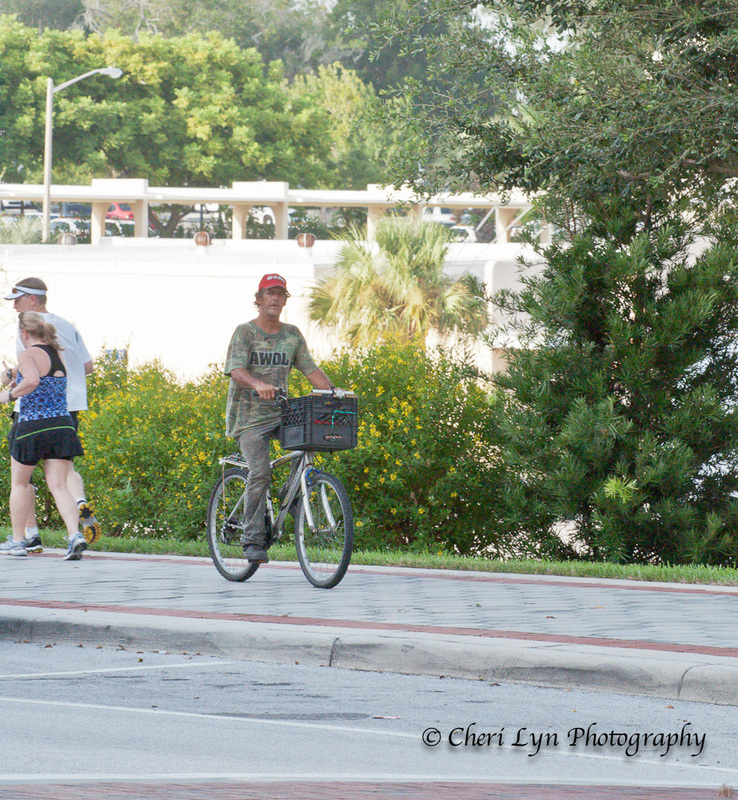 It was filed under Authentic, D90, Photooftheday, Sunday Post and was tagged with authentic, D90, FL, gentleman, homeless, Lakeland, lakeland fl, lakeland florida, Nikon, outdoors, photography, photooftheday, Sunday Post. I know. The park we visit a few times per week has several homeless people wandering around and enjoying nature. It pains me to see them when we have excess. Thank you for your thoughtful response and reply. Thanks Jake. Great subject for this weeks post! Yes, When I took the picture he was looking directly at me.